There’s one surefire way to brighten up any room in the house: flowers. Greens aren’t just for the garden. Fresh blooms bring a natural touch indoors and inspire a more calming ambiance, especially in the bedroom. 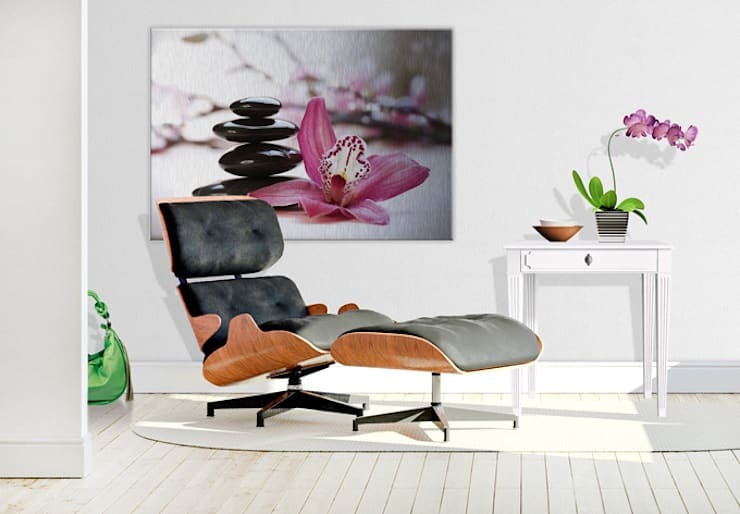 Not only do plants add aesthetic value to the room, but they also bring a relaxing and rejuvenating air that can be beneficial to the well-being of the homeowners. With so many pretty plants available in the market, we thought we’d make it easy for beginners to take the first step in making their private spaces green. Here are nine charming plants that are perfect for the bedroom. A plant that is a popular choice for homeowners is the Yucca palm. 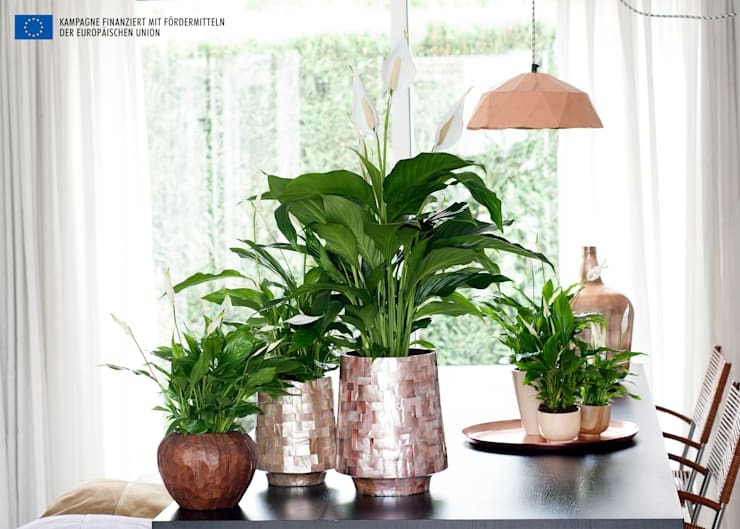 This exotic plant evokes a tropical vibe that’s perfect even for metropolitan residences. The long, sword-shaped leaves are a striking sight and the plant looks a little bit like a miniature palm tree. 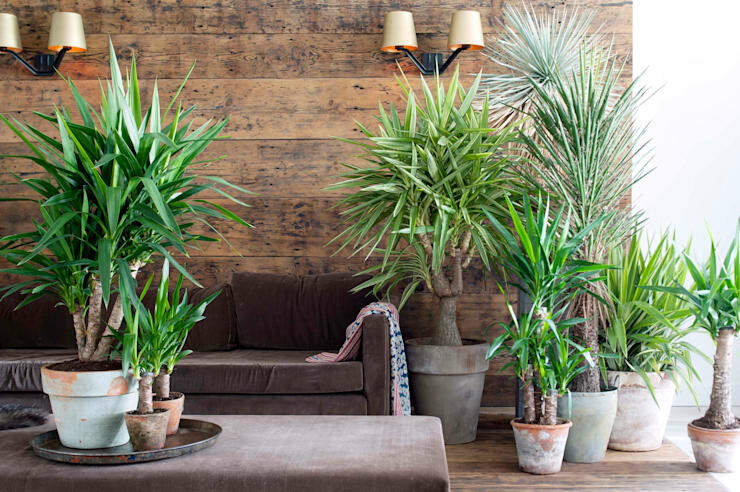 It’s not quite “miniature” though as the Yucca palm can actually reach up to five meters when given ample room. The plant is easily trimmed though, so smaller spaces are no problem. This type of plant is quite durable and low-maintenance, only requiring regular watering and fertilizing. If the Yucca palm is provided with enough light, it will provide freshness in your bedroom for a long time. The orchid is a true classic, injecting grace and elegance to the bedroom. The timelessness of this plant makes it a staple in both traditional design and modern décor. Coming in a variety of shapes and colors, the beautiful tropical flower is visually stunning but also very resilient and long-lasting. In feng shui, the orchids in the bedroom is common, usually placed on the nightstand and believed to enhance relationships. It’s actually used to attract a new partner in the homeowner’s life. While there are different types of orchids, beginners may want to stick to the robust and adaptable Moth orchid. The names its known by are quite unforgettable, but this plant is sleek and straight-forward – a perfect fit for modern dwellings. 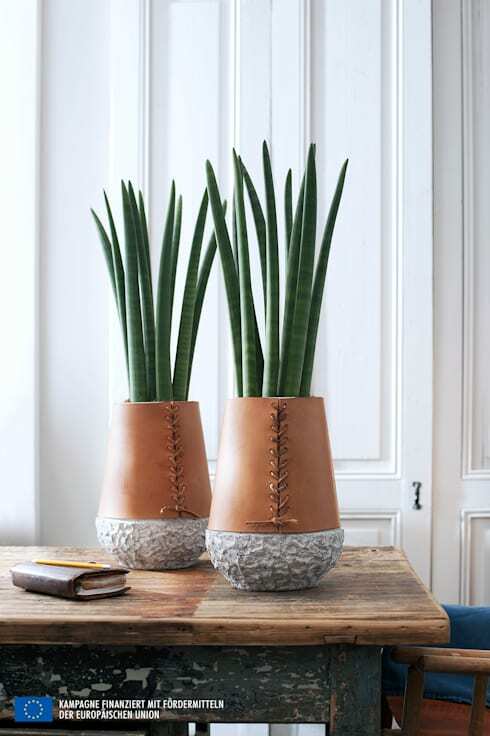 The striking snake plant is a favorite of designers because of the rich green hue and its low-maintenance nature. No green thumb required for this plant! Also known as the bowstring hemp, the plant originated from Africa and Asia so its very dry. While other indoor plants may flourish in low light, this one thrives with full sun exposure so finding a place for it by the bedroom window may be your best bet. The peace lily instantly captures the hearts of every person in the room. Colorful, fresh and graceful, it certainly becomes a highlight and it can enhance the natural beauty of the indoor space. Found in regions around the Pacific, the flowering plant is moist and requires regular weekly watering. It can actually boost the humidity of the room by 5%, relieving allergies and dry throats. With good care, the plant can flourish and bloom in the summer months. During this period, it is also recommended to use floral fertilizers to optimally nourish the plant. Since the peace lily prefers darker spots, the bedroom is the perfect place for it. All three are beautiful plants. The lovely indoor plant jasmine is most ideal for the bedroom due to its pretty little flowers and a faint sweet scent that promotes ultimate relaxation. The white blooms bring a refreshing aura to the bedroom, but even more importantly, its soothing qualities are well-documented. Jasmine is known to improve sleep and its soothing scent has wonderful effects on anxiety levels. The plants enjoy medium shade. It is important that they get enough moisture, and on particularly hot summer days the leaves should also be sprayed with a little water. Like the orchid, the callalily is an absolute classic. The beautiful plant is also known under the name Drachenwurz and captivates with blossoms in a variety of mesmerizing shades. 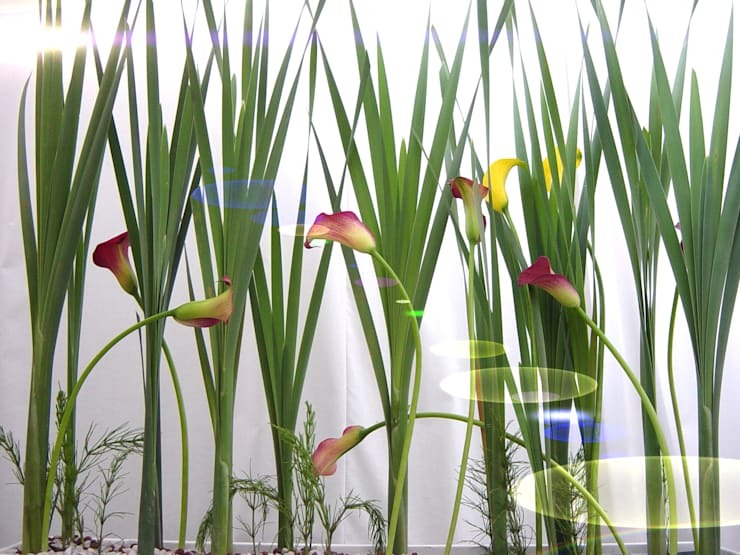 The leaves of the callalily can be white, yellow or red, and can be specifically chosen to the bedroom design. During the summer months, the plant withdraws itself into a resting phase. Don’t be alarmed, this is completely natural. If there is ample brightness in the room and the callalily is well-maintained, you will enjoy the flowers of this beautiful plant in the bedroom for many years. It is the traditional symbol of tranquility and balance, making it the perfect plant to promote relaxation in the bedroom. The bonsai tree fits in every bedroom design, and it is extremely soothing with delicate and very fine leaves and shapes. Bonsai trees are famous for its origins in Asian garden architecture, but have long since conquered the hearts of every kind of plant lover. Before acquiring one, however, know that these miniature shrubs and trees require a lot of care and effort including a regular supply of water, optimal fertilization, trimming and the perfect light conditions. 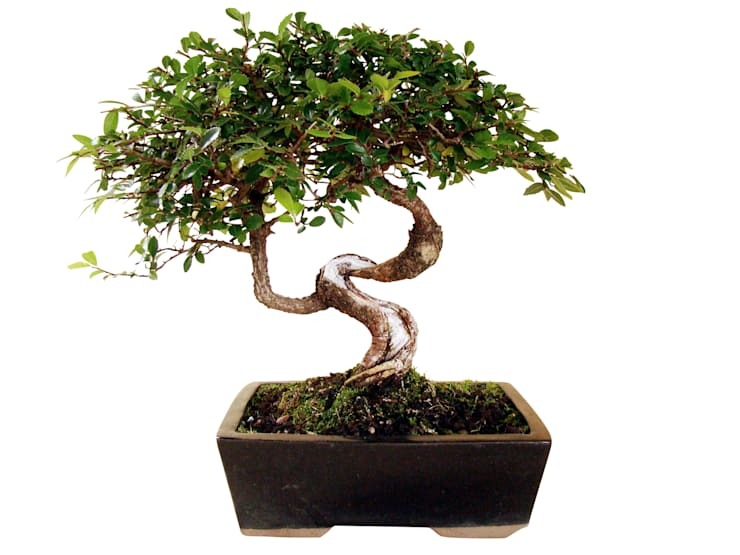 Caring for bonsai plants is considered an art. For those who decide to delve into the world of bonsai gardening, the rewards of this rare and stunning plant are priceless. Lavender is one of the most popular plants for the bedroom as it is known to improve sleep and anxiety levels. For those who want a full night’s sleep, simply bringing a lavender plant into the bedroom could help you get some shut-eye. This radiant plant actually thrives in the outdoors, so it’s important it gets enough light indoors. If possible, find a place near the windows where the sun streams in easily. 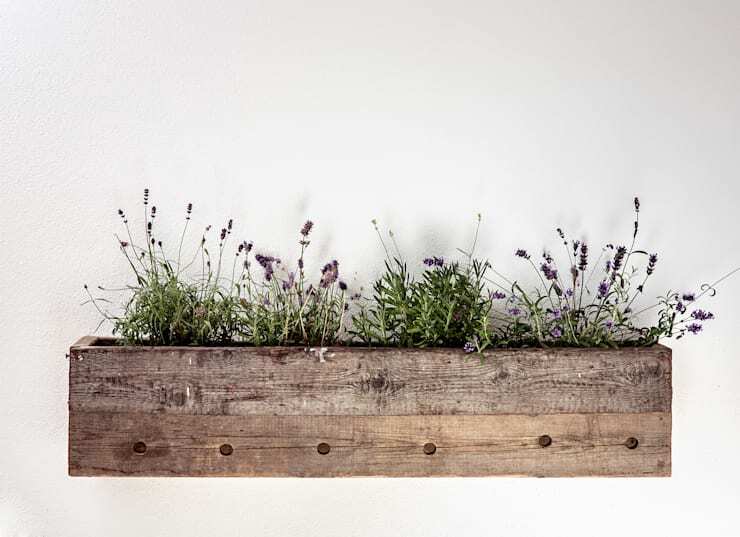 While its natural environment is the open outdoors, a bright and humid indoor environment can just as easily be a great place for a lavender plant to bloom and flourish. Can’t choose just one? A playful bouquet can work just as well as a single flower for the bedroom. There are no limits to your imagination, so you can mix and match flowers depending on the style you’re going for. Roses, carnations and tulips are only a few of the popular floral options. A fresh and vibrant bouquet can transform a plain room into a pleasant and original space within minutes. 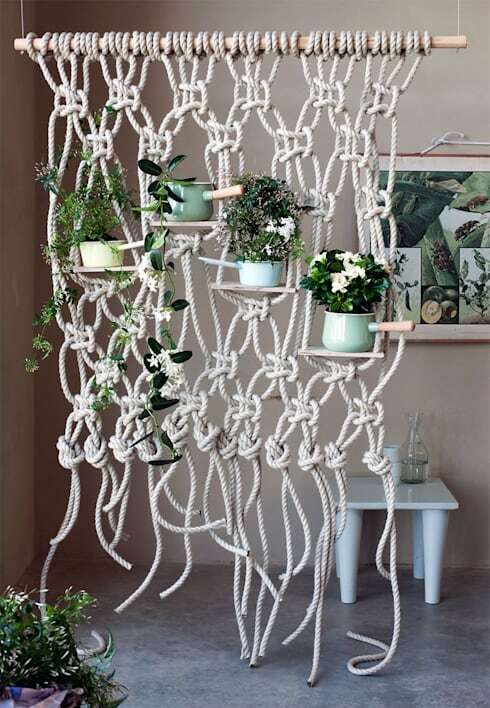 Interested in making your outdoors as pretty as the indoors? Check out these 9 ways to make a small garden space beautiful.